The government of Guangzhou has named University of Birmingham public health researcher Professor KK Cheng as an honorary citizen. The prestigious honour was bestowed by Mr Wan Qingliang, Party Secretary of the CPC Guangzhou and Mr Chen Jianhua, Mayor of Guangzhou at an official ceremony in the city last week. 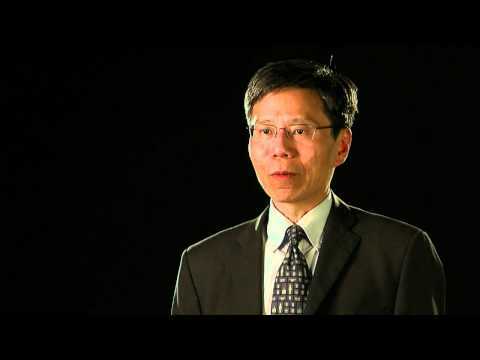 Professor Cheng has a longstanding and active relationship with Guangzhou and has led the University’s academic interests in its most significant engagement in China to date - The University of Birmingham Guangzhou Centre, a landmark partnership between the University and the Guangzhou Municipal Government. For over 10 years, Professor Cheng has been at the forefront of a pioneering public health project in Guangzhou. The Guangzhou Biobank Cohort Study (GBCS) is a collaborative research project between the Guangzhou Number 12 People's Hospital and the Universities of Birmingham and Hong Kong, which is following up 30,000 men and women over 50 in Guangzhou. This project is recognised internationally as an important platform that supports research on the role of genetic, lifestyle, occupational, environmental and life course factors in common chronic diseases. Since 2006, the study has produced over 80 papers and has made important contributions to policy making in China and beyond. The main long-term aim of the study is to examine the effects of genetic and environmental influences on health and chronic disease development (particularly circulatory disease, chronic respiratory disease, cancer and dementia). In addition to being a fruitful scientific study, it has provided a strong launch pad for the University's development in Guangzhou.